Chelsea are plotting an audacious move to try and lure Ivan Rakitic away from Barcelona at the end of the season, according to reports in Spain via the Express. 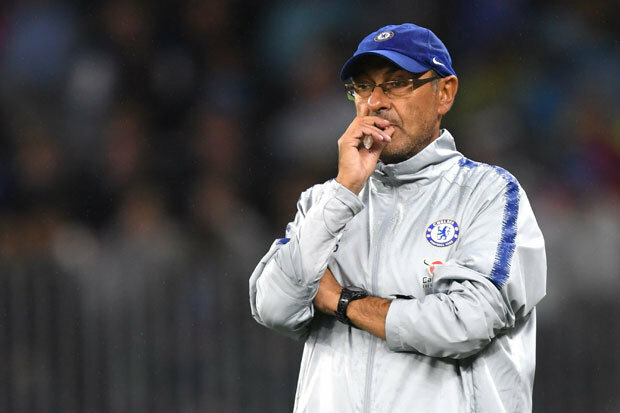 Maurizio Sarri is continuing to overhaul the squad he inherited from Antonio Conte last summer and the Italian coach is reshaping his midfield after letting Cesc Fabregas join Monaco while the Blues are also keen to offload Danny Drinkwater. It means Chelsea are in the market for a new midfielder but they’ve been frustrated in their attempts so far this month having missed out on Leandro Paredes to Paris Saint-Germain while Nicolo Barella has been strongly linked with Man Utd. It looks like Sarri may have to wait until the end of the season to strengthen his midfield options and the Express are citing a report from Sport that claims Chelsea have now made Rakitic one of their prime summer targets. The Spanish outlet says the Blues are now plotting a stunning deal to try and persuade the Croatian international to quit the Nou Camp and move to Stamford Bridge in the summer. Rakitic has been a key player for Barcelona since joining the club from Sevilla in 2014 with the 30-year-old making almost 250 appearances in all competitions to help win a whole host of trophies. However, Barcelona have agreed a big-money deal to sign Frenkie de Jong from Ajax at the end of the season and the Dutchman midfielders arrival has cast Rakitic’s long-term future at the Nou Camp in doubt. It’s suggested by the Express that Barca may be willing to cash-in on the midfielder in order to get his wages off the books and Rakitic could be open to leaving the Catalans if he’s no longer considered a first team regular. We’ll have to wait and see how things develop over the coming months but Rakitic would be a superb signing if Chelsea could somehow lure him to the Premier League this summer. He’s been one of the best all-round midfielders in Europe over the past few years and the Croatian star could form a formidable partnership alongside Jorginho and N’Golo Kante in west London.